We would argue that if there are ANY one day a girl really wants to look her best, it might just be her wedding day. 😉 We would also argue that a close second is her engagement session day! There’s something about a big camera in your face that makes you want to look your absolute best, so we 100% understand wanting to look amazing for your photos!! Regardless of if she is a big “makeup girl” or not, we ask our EACH of our brides to schedule a quick makeup appointment on the day of their engagement session! This is SO important. Professional makeup makes a WORLD of a difference in your photos, and a professional makeup artist knows exactly how to ensure your makeup will show up well in pictures! If makeup REALLY isn’t your thing, simply ask a friend who is talented with makeup to help you apply lipstick, foundation (that perfectly matches your skin tone! ), a neutral smoky eye, some blush, bronzer & highlighter, some lip gloss or tinted lip balm, and help you fill in your brows! We promise, you will NOT regret it… even if you opt for a more natural look. Voluminous, loose curls are ultimately our fave when it comes to engagement sessions, but a loose, relaxed updo and silky straight strands are another favorite style of ours! Ultimately, we want our brides to look like a slightly dressier version of themselves, so we always recommend that they pick a hair style that looks like THEM! There’s nothing worse than not feeling like yourself for over an hour with a camera documenting your every move, so pick a style that feels like you. If you’re planning on having your hair done before your engagement session, schedule that color or cut appointment at least a week beforehand so that you can get used to your style and how to work with it! Nice nails are a must when it comes to engagement session beauty. 🙂 You’re going to be showing off that ring a lot, and it looks so beautiful to have freshly manicured hands in your photos! You’d be surprised what a HUGE difference this makes in your images… it truly is the little things, guys! Our favorite colors include grays, pinks, crisp red, most pastel colors, and white, and French manicures are always beautiful too! Don’t be afraid to be bold with your color choice! We recommend shying away from any crazy styles and bling and just sticking to one shade on all your fingers. And don’t forget those toes, too, if you’re wearing sandals or wedges! Here’s the thing, girls… you are stunning already. 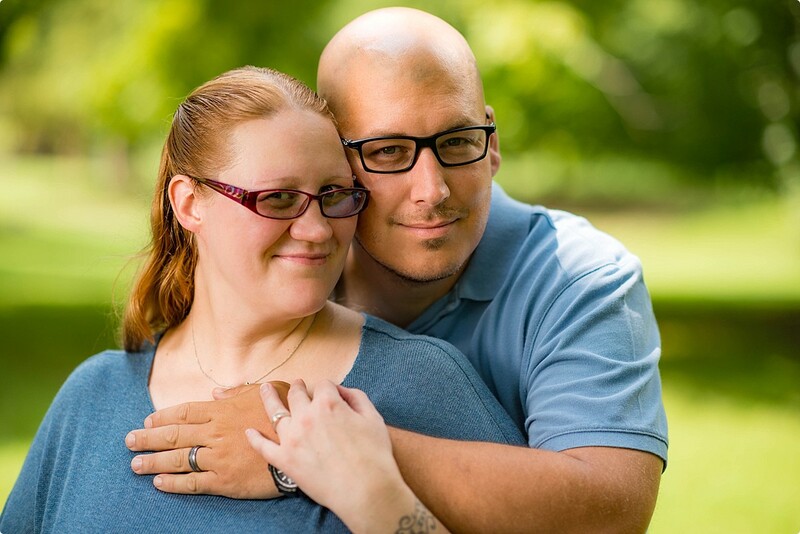 Do you need a brand new haircut, a full face of makeup, and shellac nails to completely rock your engagement session? Absolutely not! These things just make your engagement session even better and highlight the beauty that is already there! If you look like yourself and feel like yourself, you’ll have fun and be relaxed because you feel CONFIDENT. We hope these tips help you all as you get ready for your engagement session soon! Let’s chat about how A Little Bird Photography can capture your love story.